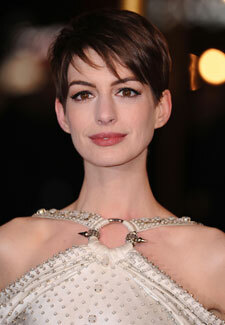 Golden Globe winner Anne Hathaway has also been nominated for a BAFTA and an Oscar for her incredible performance as Fantine in Les Misérables. But the Hollywood actress admits there’s an unlikely inspiration for her heart-rending rendition of I Dreamed A Dream. ‘I think Susan Boyle’s wonderful and adorable,’ says Anne.